As of May, the West Queen West Business Improvement Area has connected the neighbourhood between Bathurst and Ossington with free wi-fi. While Rob Sysak, executive director of the BIA, says he excited about being a first mover, he envisions a future where all neighbourhoods offer the service. In the neighbourhoods of the future, wi-fi will be just as critical as street signs and garbage cans. That’s why the West Queen West Business Improvement Area has interwoven wi-fi into the community, offering free connection from Bathurst to Ossington. It’s also an essential platform for the neighbourhood. Users are treated to the BIA’s landing page which includes information on local businesses as well as plenty of interviews with the artists behind some of the art and design district’s renowned graffiti. “It gives us so many opportunities to communicate our story,” says Sysak. The platform, offered by Besify, also allows the BIA to collect data analytics like the duration of connections, how many people connect, which locations are most popular and how strong each device’s signal strength is. The wi-fi had 4,000 users in the first month and provides information on the foot traffic to the area. It’s part of the wider Digital Main Street strategy which looks to provide the small businesses, the lifeblood of neighbourhoods, with the tools necessary to act like big business while preserving the neighbourhood feel that drives people to the area. 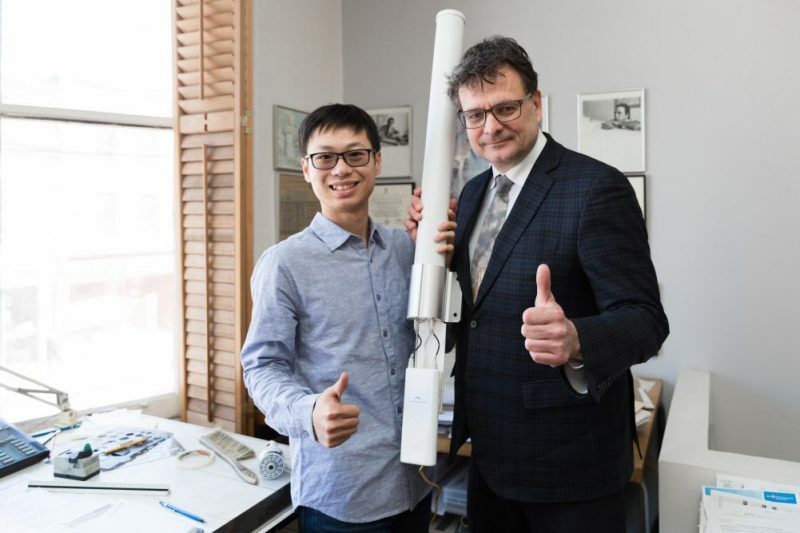 Besify, launched by two Queen’s University grads who racked up sky-high data bills while visiting Toronto, connected with the WQW serendipitously while trying to convince local businesses to pilot the free Wi-Fi. They’ve installed access points to help deliver signal strength and Sysak says the hope is to lead by example. He says that while he loves the bragging rights of being a first mover, he looks forward to a day when having free wi-fi is commonplace.